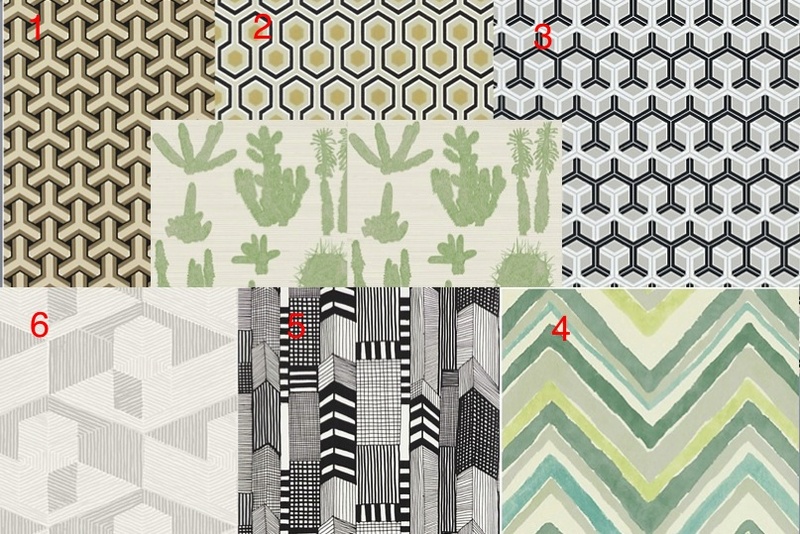 Have you ever heard of Makelike cactus wallpaper? It’s my fave. It reads so boho chic, earthy, Texas to me. I bought many rolls of it many months ago when it was on sale, not knowing where I’d ever use it. Such is my personality. But now, I have Aquahaus, and I’m determined to put that baby up on the walls. Please help me choose what wallpaper would behave nicely with the cactus wallpaper. I have a fave. Stop being blog lurkers and comment!! I need your help!! We say number 4. Its neutral yet bold enough. #4 goes jives with the cacti the best. I like 2 and 3. A little unexpected and bold. And I love hexagons. I vote #3 or #4. I like #2 or #4.